Why choose between the big city and the beach when you could have it all with a year in Tampa! With its vibrant nightlife, year-round warm weather, and coastal location, Tampa is a fantastic place for a new adventure. Whether you love to shop, try new food, immerse yourself in art, or attend one of the seven musical festivals held in this city every year, Tampa will not disappoint! Are you a thrill-seeker? If so, you have to visit Busch Gardens! With its live shows, animal encounters, and the best roller coasters in Florida, Busch Gardens is sure to be fun for everyone! 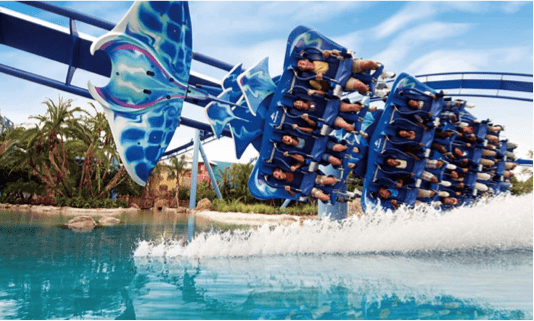 As one of the top amusement parks in the country, it might be worth grabbing an annual pass so you can visit Busch Gardens and it’s nearby waterpark, Adventure Island! 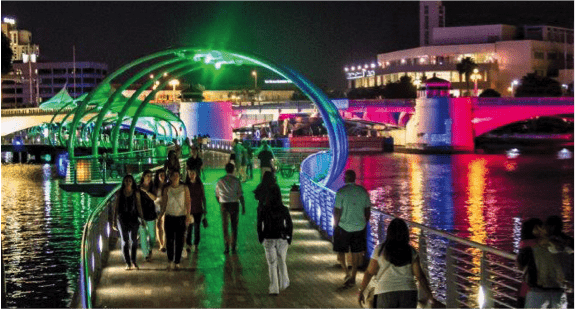 Take a walk down this completely pedestrian pathway to the Florida Aquarium, the Tampa Bay History Center, the Tampa Museum of Art, or any of the exhibits on display year-round! You could even stop by the Straz Center for Performing Arts to see a Broadway play or Musical! There’s so much to do and see, it couldn’t possibly be done in just one day! The Riverwalk is also home to one of the largest parades in the United States! 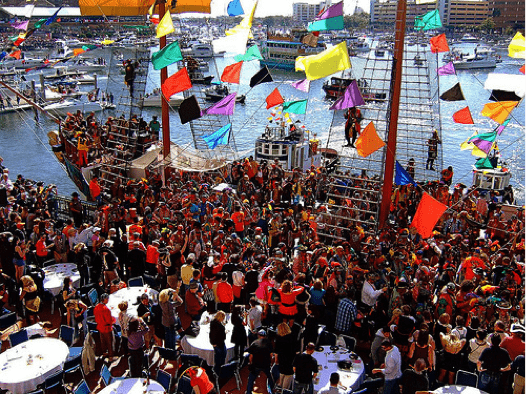 Put on your pirate costume and be one of the hundreds of thousands of attendees that flock every year to the water for its Parade of Pirates, film festival, arts festival, road race, and live music festival. Likened to Florida’s version of a New Orleans Mardi Gras, this is a celebration you won’t want to miss. It’s always beach weather in Florida! Being so close to the coast, Tampa residents can head to some of the most beautiful beaches in the country with just a short commute. 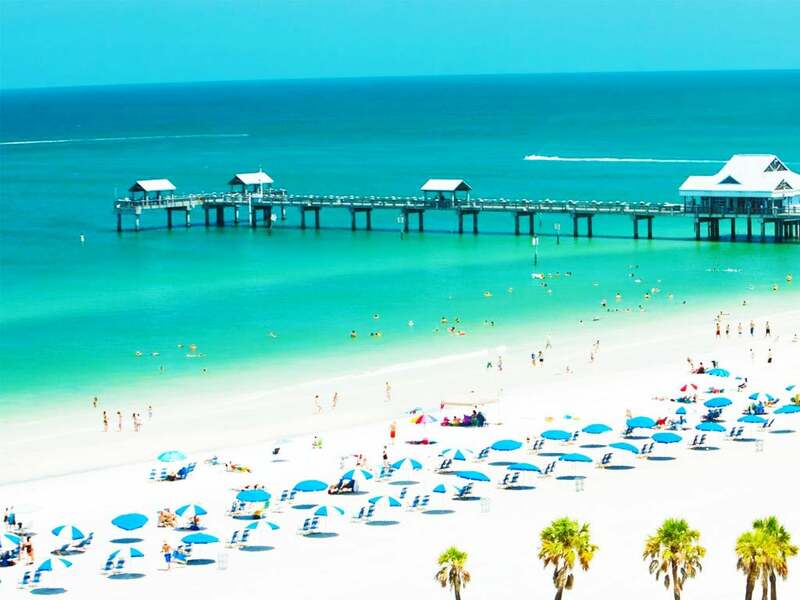 With options such as Fort De Soto Park, recently named one of the top 25 U.S. beaches, Clearwater Beach, and Caladesi Island, you’ll almost have trouble deciding which is the best location for a bit of sun bathing or water sports. What’s Your Favorite Animal? Tampa Has It! Animal-lovers will feel right at home in Tampa, where there are so many options for up close and personal encounters! 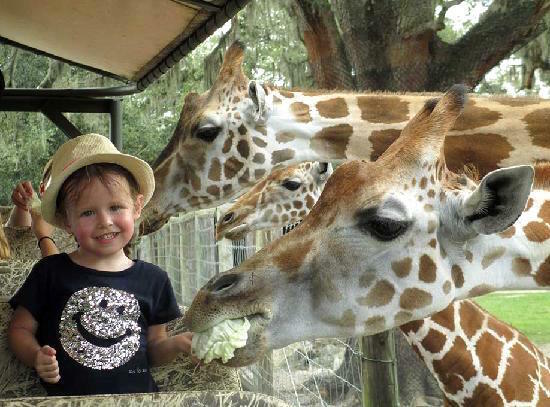 Feed a giraffe right out of your hand at the Giraffe Ranch, or visit the Serengeti without leaving the comfort of Florida at the Safari Wilderness Ranch. Tampa is also famous for its manatees, who will swim right up to wave hello! Looking for something relaxed, fun, and free? 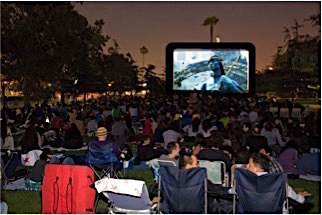 Go grab a bite and see a movie at the Flicks & Food Trucks festival held every month on the 3rdThursday! Take part in America’s food truck craze with your friends and try something new from one of the gourmet food trucks. As you can see, Tampa has something to offer for everyone!